Fleurop delivers charming, heart-warming and trendy floral greetings - not only in Switzerland, but throughout Europe and all over the world. 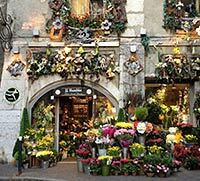 This scope of service was made possible by the merger of the European Fleurop organisation with its U.S. and British sister companies to create the global Interflora group with more than 50,000 of the best florists in over 150 countries. 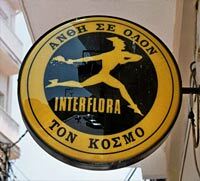 In terms of partner branches, Fleurop-Interflora is thus one of the world's largest retailing organisations. 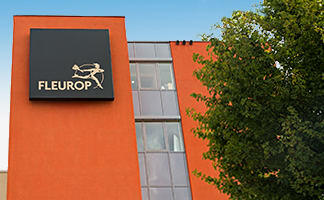 There are approximately 400 Fleurop partner shops in Switzerland. Orders can be placed via the internet, the Fleurop app, by telephone and at any Fleurop partner shop. Some interesting figures: in business year 2013, Fleurop-Interflora (Schweiz) AG processed 351,576 orders generating sales totalling CHF 35,306,759. Of these orders, 23,369 were placed from outside of Switzerland yielding sales of CHF 1,927,874 and 328,207 were received from customers in Switzerland resulting in sales of CHF 33,378,886. Of the 328,207 orders generated in Switzerland, 87.6% were placed through the Fleurop direct sales system. The Fleurop partner shops contributed 12.4% to the overall result. 85.3% of the 287,424 direct orders were placed through the internet, 7.4% by telephone and 7.3% were received from the B2B sector. Online sales increased by 2.6% over the previous year - another record result. 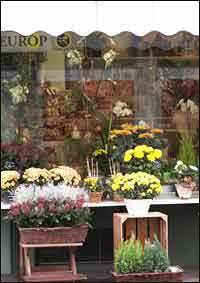 Fleurop-Interflora stands for flower deliveries worldwide, through a network of carefully selected partner florists. They are under contract to Fleurop, meet strict guidelines in respect of quality at all levels, and deliver the Fleurop orders to the customers. The floral greetings are prepared by a Fleurop partner shop near the recipient's location and personally delivered. Fleurop provides the communication technology and organisational infrastructure required to ensure smooth and dependable delivery, even to the more remote destinations. In a nutshell, this means that a customer in Zurich, for example, can order a floral greeting via the internet, the Fleurop app, by telephone or at one of the many Fleurop partner shops and rest assured that it will be delivered just a few hours later in Bern, Berlin, New York or anywhere else in the world. To ensure smooth order transmission, a direct internet link is maintained between the Swiss partner shops and the Fleurop head offices in Wangen b. Dübendorf, which also handle communication with other Swiss partner agencies and countries all over the world. Thanks to advanced communication technologies, orders are transmitted within seconds, and order invoicing is executed in a parallel process. 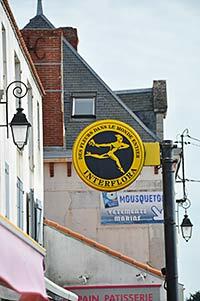 Fleurop-Interflora (Schweiz) AG is a separate and independent company within the global Interflora group. In addition to market cultivation and brand management, the company ensures smooth transmission of order and invoicing data to and from the individual Fleurop partner shops and the sister companies abroad. Fleurop-Interflora (Schweiz) is the umbrella brand used by the leading Swiss flower shops.